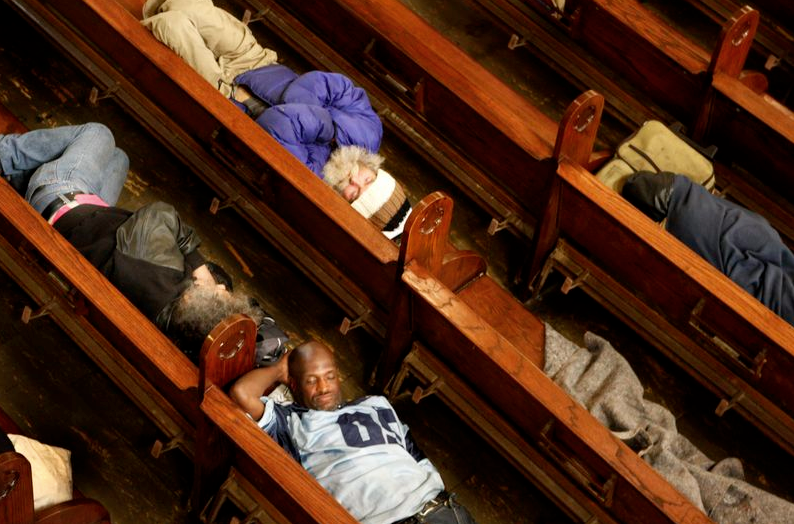 For the city?s homeless, San Francisco?s St. Boniface Church is seen as a safe haven. Known as the Gubbio Project, the Roman Catholic church lets the city?s homeless sleep on its pews during daylight hours, even during Mass, and provides a host of services to hundreds of those who are forced to leave when homeless shelters close in the morning, the San Francisco Chronicle reports. "Part of the craziness you run into on the streets with homeless people is drugs and alcohol related, but some is severe lack of sleep, which can cause psychosis," Rev. Tommy King, a pastor at St. Boniface told the Chronicle. "This helps them in terms of mental health." Every weekday the program uses the sanctuary?s rear 76 pews between 6 a.m. and 1 p.m. while providing access to the church?s amenities like bathrooms, blankets, clothing vouchers and haircuts, executive director Laura Slattery told the Huffington Post in an email. PHOTOS: Jeanette Antal. Story continues below. ?This sends a powerful message to our unhoused neighbors - they are in essence part of the community, not to be kicked out when those with homes come in to worship,? the organization describes on its website. The Gubbio Project is unique for its daytime hours and open pews for sleeping. Slattery doesn?t know of another church offering the same kind of sanctuary, she told HuffPost. The project, which was founded in 2004, sees an average 90 sleepers on a given day, Slattery told HuffPost. And in a city that has an estimated homeless population of 6,455, the Gubbio Project is welcomed. According to Ken Dotson, a member of the San Francisco Coalition on Homelessness, the city offers around 1,139 beds for single adults and less than 100 for families, he told HuffPost. In an interview with Catholic Radio, Slattery describes how homelessness isn?t the sole problem her guests face. Many come from the margins of society. There are veterans, others from the LGBT community and those struggling with drug and alcohol addiction who come to the church for an open ear, she says. And although the program keeps its guests anonymous, every so often someone comes in to share a success story, she tells HuffPost. Slattery points to a man in his twenties who recently came to thank the program?s founder for saving his life seven years ago when he said he was suicidal. But the program itself, which has struggled with funding at times, sees triumph in the everyday. 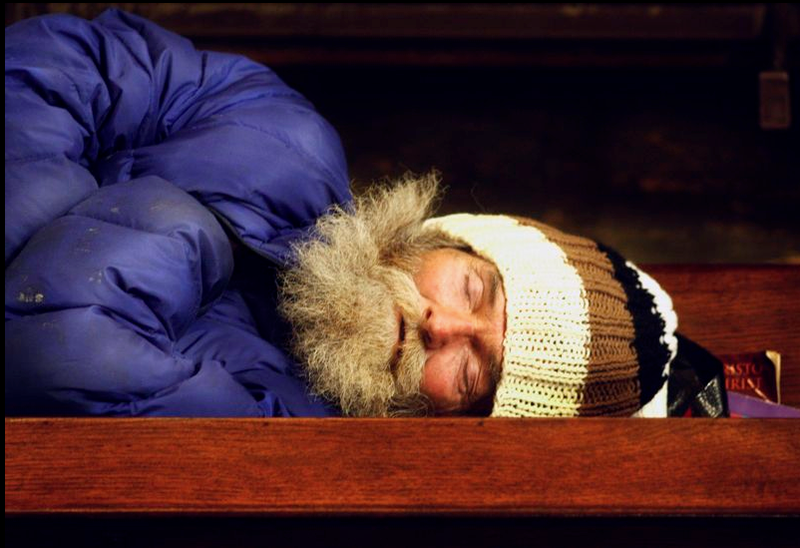 ?Homeless people, in addition to needing housing, have primary needs of calm, safety, beauty, and a sense of belonging. We are providing these things,? Slattery told HuffPost, ?These are our daily successes.? For more information on the Gubbio Project and ways to get involved click here.